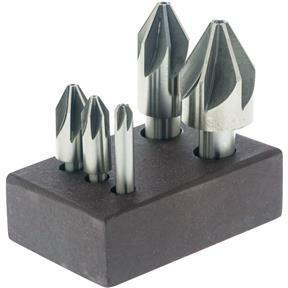 You can expect fine finishes with less cutting pressure from these centerless, high speed steel countersink sets. Choose this 60º set for deburring, chamfering and general countersinking tasks. Each set includes these sizes: 1/4", 3/8", 1/2, 3/4" and 1".